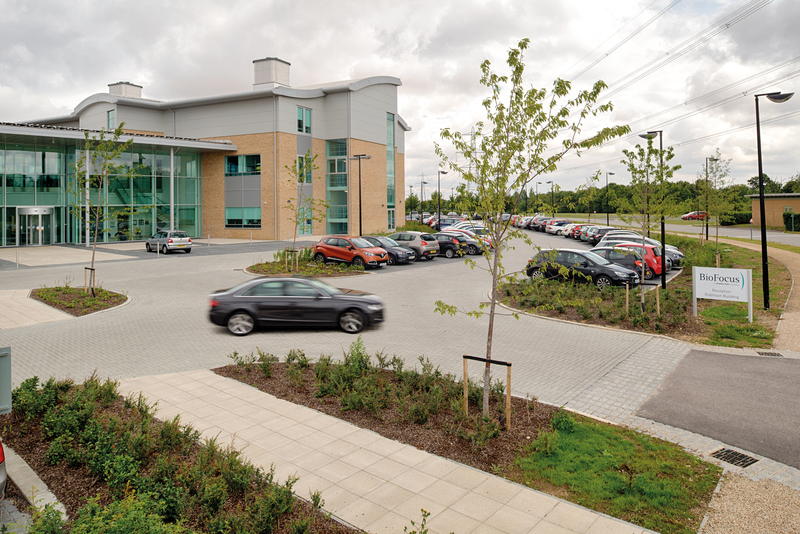 The Science Village at Chesterford Research Park is a thriving scientific community, home to ultra-modern and energy-efficient laboratory and office space within the attractive setting of open parkland, an arboretum and lakes. Vehicular circulation, parking and pedestrian circulation were important to the scheme and formed the main body of the external works. The challenge for the architect was to select paving in neutral tones to be sympathetic to the stunning natural landscape surrounding the park, while maintaining a ‘community’ feel and selecting materials which defined areas in the space including parking bays. 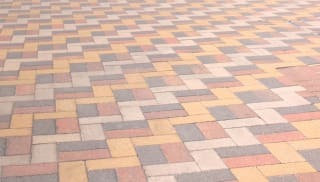 The architect Davis Landscape Architecture selected a number of Marshalls’ flag and block paving products for the scheme. Justin Davis, Director of Davis Landscape Architecture, explains: “The main body of the external works associated with this development consisted of vehicular circulation, parking and pedestrian circulation. 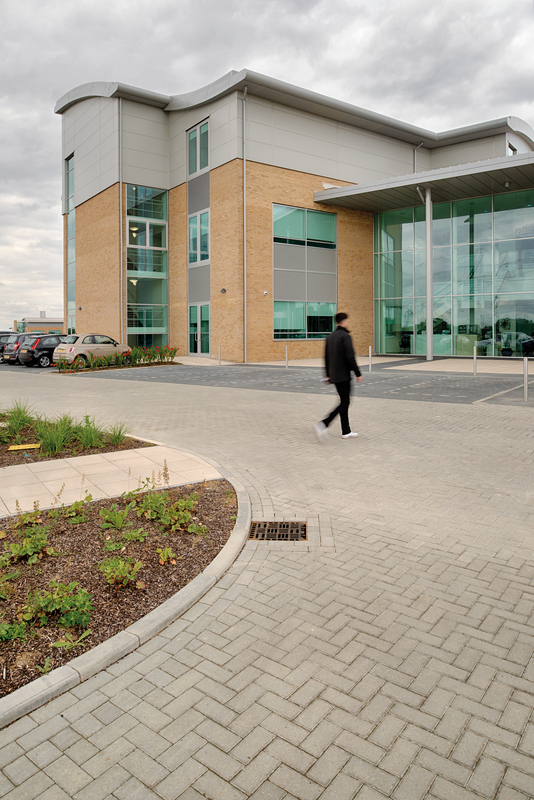 The palette of paving Client: Chesterford Research Park Contractor: RG Carter Products Used: Keyblok Block Paving, La Linia Block Paving, Saxon Paving, Kerb and Edging materials were carefully selected to ensure the landscape setting complemented that of the high quality built form. 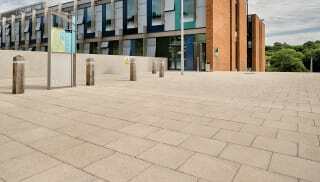 “We were keen to select paving materials from a single supplier that produced high quality products in the range required. In addition, it was important that the palette of colours on offer were attractive, complemented each other and enhanced the building setting. Marshalls provided the range and palette we were looking for. The hard landscaping perfectly complements the state-ofthe- art facilities, but doesn’t detract from the beauty of the landscape with a carefully selected palette of materials and colours.